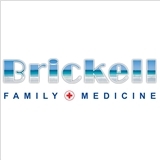 Brickell Family Medicine, LLC (Miami) - Book Appointment Online! Brickell 9 to 5 Medical Care - offers same and next day appointments. Our two providers are Alicia Coker MD and Polina Radchenkova PA-C.
Dr. Coker was very knowledgeable and was able to respond to my questions without hesitations.